“Pensami Così”– the new single by Le Vibrazioni out now – European tour just announced! 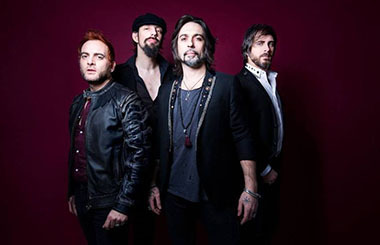 The Italian pop-rock band led by Francesco Sàrcina is getting ready to bring for the first time their vibrant sound to some of the best European stages. Hits like Così Sbagliato and Amore Zen, will be part of the set list along with their best classics, which will bring together old and new fans in a music journey that will start on the 5th of February in Madrid before heading to Barcelona, Paris, Brussels, Liverpool, Dublin, London and Amsterdam. This European tour – powered by TIJ Events – will be a great opportunity for the band to reconnect and get closer to their audience while enjoying intimate settings across Europe. Their energetic rock vibe will sound loud and clear, that’s a promise!